Okinawa, Japan – Lucky # 13! 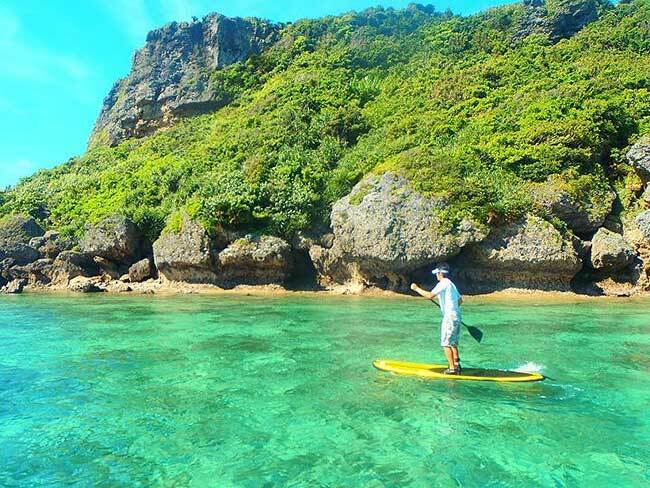 http://www.suptheworld.com/ – A travel website catering to Standup Paddlers of all ages and skill levels, who’d like a SUP-centric vacation, officially added the tropical island of Okinawa, Japan to it’s destinations list today. Our lucky 13th location, Okinawa, is truly tropical and blessed with stunning scenery and offers incredible food. Other highlights include . . .
empty beaches and crowded old world market places. • Tours, accommodation, board use & more included in every package. SUPtheWorld offers unique surf and/or flat-water locations as well as once-in-a-lifetime expeditions. Immerse yourself in the pristine waters of Australia, Canada, Thailand, Costa Rica, El Salvador, Taiwan, Puerto Rico, the Solomon Islands and many more. All locations cater from couples to small groups and offer personal service with professional guides and packages. Experience foreign cultures, waters and meet fellow SUPers who’ll guide you through their own country, will dial you in to the best places to SUP as well as great local eats and cultural sites. Plus they’ll ensure you get to see a lot of areas from a unique water perspective, far removed from regular vacationers.